Colchicine (Col), a naturally occurring alkaloid, has been used as an anti-inflammatory, anti-fibrotic, and anti-tumor drug. 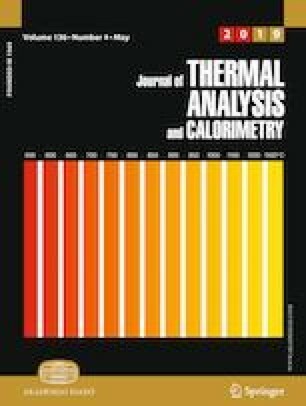 The present study reports in vitro interaction between Col and hen egg white lysozyme (HEWL) by spectroscopy, isothermal titration calorimetry (ITC), and molecular docking techniques. The fluorescence results indicated that Col quenches the intrinsic fluorescence of HEWL through static quenching mechanism which is also substantiated by UV–visible spectroscopy. The average distance (r) between donor (HEWL) and acceptor (Col) was evaluated by Förster’s resonance energy transfer theory. Thermodynamic parameters obtained from ITC suggested that hydrophobic interaction plays a major role in the complex formation, and it is an entropically driven process. Col altered the secondary structure of HEWL revealed by circular dichroism which is further corroborated by synchronous, 3D fluorescence and FTIR techniques. In addition, molecular docking was employed to find out binding site of Col on HEWL and amino acid residues involved in the binding process. This study is expected to provide insights into the type of interaction and binding mechanism of Col with HEWL. The online version of this article ( https://doi.org/10.1007/s10973-018-7800-z) contains supplementary material, which is available to authorized users. Authors are thankful to the Chairman, Department of Chemistry, A.M.U, Aligarh, for providing the necessary facilities to carry out this research work. The PURSE and FIST grants from DST and SAP (DRS-II) grant from UGC, New Delhi are gratefully acknowledged. One of the authors (S.K.) gratefully acknowledge to UGC, New Delhi, for awarding Maulana Azad National Fellowship (MANF).